Are you on holiday and desire to keep fit and healthy? Swimia.com offers you the easy and quickest approach to find Aquagym in Zimbabwe near your current location. If you will be searching for Zimbabwe Pools, it's good to know several of them belong to gyms or sports centres which also offer lessons. Get informed by calling the premises. For Zimbabwe and its vicinity, we're showing you all the registered pools, a few of them have no GPS coordinates and can't be found on the map at the map. There are typically discounts available to senior citizens and smaller youngsters for independent swim. 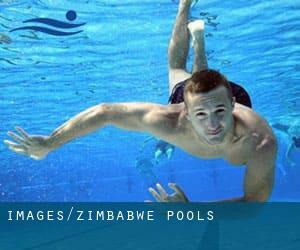 Find out by contacting your nearest pool among these Zimbabwe Pools. Do you realize of any Pools in Zimbabwe that should be listed here? Contact us!. Swimming is actually a sport for all ages. It assists young people to tone their muscles and grow healthy and strong. For the elderly, there's no better way to exercise than locating a Zimbabwe Swimming Pool to escape from day-to-day routine. One in the advantages of outdoor swimming in Zimbabwe would be the possibility to sunbathe during the summer time season. Taking it with added care, sunbathing is healthy due to the fact introduces Vitamin D into the body, so the right choice seems to be switching between indoor and outdoor pools depending on the season. Let us tell you a secret to switch off while you will be in Bulawayo: just pick a Pool in Bulawayo and plunge into the water! There's no much more powerful strategy. Swimming is often a outstanding idea to help keep your body active in the course of your visit to Mutare (Zimbabwe), or perhaps if you're a local. Swimia helps you to find your closest Swimming Pool in Mutare. It's difficult to visit Zimbabwe without dropping by Chitungwiza (with 340.360 residents). Currently Swimia is showing you all the Pool in Chitungwiza along with the closest pools located in its vicinity. Whereas Harare is one of the six most populous cities in Zimbabwe with nearly 1.542.813 residents, you shouldn't miss that one if you're going to Zimbabwe. Robert Mugabe Road , Mutare . Among all the activities offered by the centre, if you are thinking about swimming you may get pleasure from Olympic size x 25 yards, 10 lanes, Outdoors. Just in case you wish to make contact with this Swimming Pool before dropping by, we only know the phone number. Ascot Centre, Milnerton Drive , Bulawayo (Postal Code: 0002). Among all of the activities provided by the centre, if you are interested in swimming you will take pleasure in 15 meters x 10 meters, Outdoors. Just in case you would like to get in touch with this Swimming Pool before dropping by, we only know the phone number. 3 Albert Glen Close , Glen Lorne , Harare (Postal Code: Unknown). Among all the activities offered by the centre, if you are keen on swimming you are going to enjoy 25 meters, Outdoors. If you need to contact this Swimming Pool, email address and phone number are both number. Les Brown Road off Park Lane , City centre , Harare (Postal Code: Unknown). Swimmers like you have reported Olympic size x 25 meters, 10 lanes, Outdoors. Also, you will find 33-1/3 yards x 25 yards, maximum depth 15 feet, Outdoors. Just in case you want to contact this Swimming Pool before dropping by, we only know the phone number. Panton Street , North End , Bulawayo (Postal Code: 0002). Swimmers like you reported 25 meters x 12 meters, Outdoors. Unfortunately we do not have the email address of this Swimming Pool, but we can give you the phone number. S. Parirenyatwa between 8th and 9th Avenues , Bulawayo (Postal Code: 0002). Swimmers like you reported Olympic size, 8 lanes, Outdoors. Unfortunately we do not have the email address of this Swimming Pool, but we can give you the phone number.